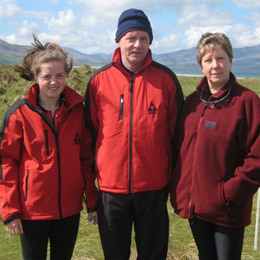 Three Rock Orienteering | Three Rock Orienteering Club is based in Dublin and was founded in 1976. 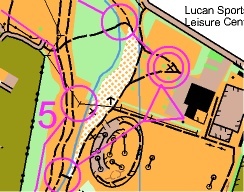 Three Rock Orienteering Club, based in Dublin, was founded in 1976 and is affiliated to the Irish Orienteering Association. The club’s aims are to organise and promote the sport of orienteering. 3ROC organises regular orienteering events which are open to all ages and cater for all levels of fitness. These events take place in parks, woods and open mountainside around Dublin, Wicklow and Louth providing a scenic environment for anyone who likes to be out in the open. Scroll down this page to see the Latest News and Fixtures sections. New members are always welcome: see the “Join 3ROC” page here. You can find details of the club’s activities when you explore our web site and visit us on facebook. Note about the Permanent Orienteering Courses at Ticknock/Three Rock Wood: some of the posts are missing. See details on the “Events” page here. The link to the Coillte Permanent O-Courses is now on the Dublin Mountains Partnership site here. Easter 3-Day/Day 1 event at Millstreet Country Park + St John's Holy Well, Millstreet, Co. Cork. Signposted from Millstreet. For more details, contact 021 4546194 / boc@orienteering.ie.